Ranveer Singh has cast off the khaki of ACP Bhalerao Sangram from Rohit Shetty’s 2018 blockbuster Simmba and has slipped into the street smart ways and garb of Murad Sheikh in Zoya Akhtar’s musical drama Gully Boy that hits the screens this Friday. It’s inspired by the lives of Mumbai rappers Divine and Naezy. The film had its world premiere at the Berlin Film Festival and wowed international audiences. Back home, Ranveer who has sung a number of rap numbers from the film has exhausted himself promoting the music track of Gully Boy by performing live at the film’s music launch, the Mumbai Police cultural festival Umang 2019, at a private event in Rajasthan and even at the glitzy Lakme Fashion Week. 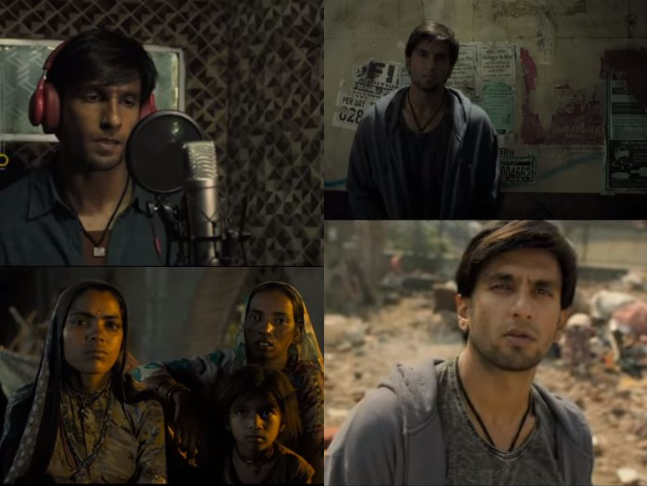 Now in the countdown to its release, Ranveer takes a break and raps out answers to PeepingMoon.com’s curious questions on Gully Boy and his gritty street savvy character. Were you expecting this response to your rapping in Gully Boy? No, but I was hoping it would be like this. I understand rap is not typical popular music, but it’s a huge thing for me that the first time I gave singing a shot, the music went on to become No. 1 on the charts! So, you’re the new singer on the block! I can’t sing to save my life! But rapping is decent. I mean, if it’s gone to hit the No. 1 spot, it must be okay. I have done five songs and two poems and it’s awesome to see the track doing so well. Not just Apna Time Aayega but Asli Hip Hop and Mere Gully Mein too. This is not typical pop music like Aankh Maare (from Simmba), it’s legit hip-hop. That’s significant for underground independent music that a legit hip-hop song like Apna Time Aayega can get mainstream acceptance. That’s what we are hoping for. For the sake of the scene and the rappers themselves. Zoya was telling me this film is more than just about her and me. It’s really about the hopes and dream of a lot of people. The people attached to the underground Hindustani hip-hop scene understand all to well that this could be a shot in the arm and a turning point, a real boost, scene ko badhava milega, that’s why they feel a sense a ownership and are feeding the film with all that love and energy. Somebody wrote the lyrics and somebody worked on the dialogues, they came on set, they kept adding that authentic flavour that takes the film to another level and made it very special. It feels like so authentic and I am proud of that aspect of the film. It was a very emotional experience. The film has already made us feel something. If you’ve worked on something and you can still be moved by it after you see the ready product, then I think that is significant. We are very happy with the film. We are very proud of the work and we are very excited to present it to the audience. Did you enthusiastically jump into the opportunity of singing? I tend to enthusiastically jump at opportunities. I wanted to rap but Zoya wasn’t sure. She was like, “I don’t know if it will be good enough, this is a full music album, I know you’ve done a bit here and there, at live shows and award functions, a little bit of crap rap in Ladies vs Ricky Bahl (2011), but bro, if you aren’t good enough I won’t let you give the vocals to my music album. So you will have to give a test.” She called me to the studio. Ankur Tewari and Divine bhai were there in the booth giving me tips. They asked me to rap Mere Gully Mein and I went for Naezy’s verse. They were like, “Okay, this is happening, this is on.” I got a lot of help. At any given point there would be people in the studio helping me because this was my first time. Now the songs are out there, people are liking them, they are topping charts and it’s very heartening to see. That’s a wonderful and welcome tag. It’s incredibly empowering to be that and I feel it comes with responsibility. I said during Simmba as well that people have come to believe that when my name is attached to a project and my face is on the poster, that’s a promise of entertainment. People are putting their trust on me and their money. They go out and hustle morning to evening, everybody has a hard life, and their mehnat paseene se kamaya hua they are paying for a very expensive ticket thinking I will entertain them. So I must bloody well deliver. I understand that responsibility and choose stories wisely and am doing the best I can. Dharavi, it’s quite amazing what she has achieved. This is a vulnerable performance. Was it easy being that? I wasn’t initially comfortable being naked in front of the camera. You know, emotionally naked. Because that’s a very real side I protect from people. It only comes out before people I really trust like family, close friends, and my wife. But Zoya has the ability of peeling away the layers and tapping into a very rare part of me because of the relationship she has cultivated with me. I really trust her. She is more than just a filmmaker to me. She is my friend and we share a tremendous, warm and affectionate relationship. It’s a very real and authentic version she’s brought out in me. It is like a performance of being reactive to my co-actors. In Simmba, I had all the dialogues, all the action, I was driving every scene. But in Gully Boy it’s different. I am there, but reacting to every thing that is happening around me. That mode of performance I adapted on the job and did for the first time in Dil Dhadakne Do (2015). But I have come a long way from there. I am more adept at that mode of performance. Where I just have to be and not do much. As my performance is structured by my co-actors. And I had the privilege of having some outstanding actors from Alia to Siddhanth Chaturvedi, Vijay Varma, Amruta Subhash and Vijay Raaz. I am stunned at the work of the ensemble. After seeing the rushes of Simmba, Deepika tweeted ‘Hot lag raha hai’ about you. 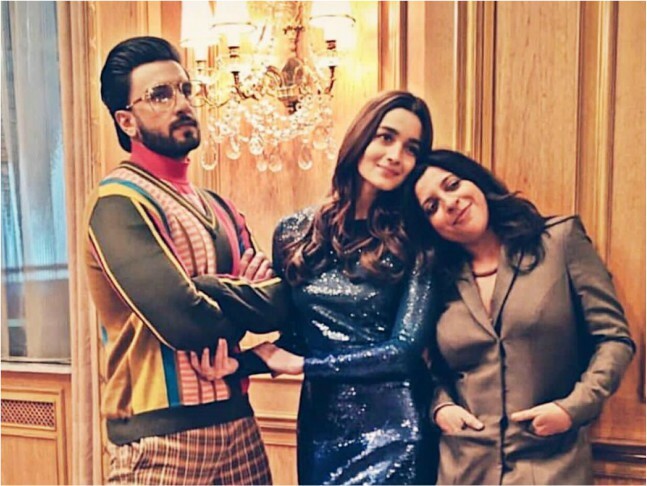 What did she say about Gully Boy? She said I’m even hotter! She loves my looks in Zoya’s films. What’s your understanding of the hip-hop scene now? We are on the threshold of a musical revolution, like a social revolution, because the expression in this music is so socially relevant. I believe it’s sangeet se aage. It’s kranti. We have a remix culture. I’m not dissing remix culture and I think it’s great. A generation has received joy from a certain kind of music and there is nothing wrong in receiving the same kind of joy repackaged. I love Kaala Chashma, I love Aankh Maare, even the new age versions have given me a lot of joy. I party hard and I work out to them. But I also feel it’s important for original music to come out for young talent to be given a platform to showcase their expressions. And it’s happened already. What we had hoped to give these boys through our music album and the mainstream exposure is happening. From the start of the first promo itself. It’s very heartening for us to see. In Padmaavat you said your character Allaudin Khilji was so dark and demanding it affected you psychologically and you may not want to visit such a character again. No more dark villainous characters? I can’t go back. Touchwood, I’m very blessed. I’m going through a good time. I’m very happy married, I’m getting showered with a lot of affection from my wife and I’m in a warm and happy space. When Khilji was offered to me, I was very happy. I was prepared to go down the rabbit hole. But having done it, I know how dark and deep it is. Khud pe rehem karke I would not go down that path again.